​Breakfast Monday - Friday | 8 - 9:30 a.m. 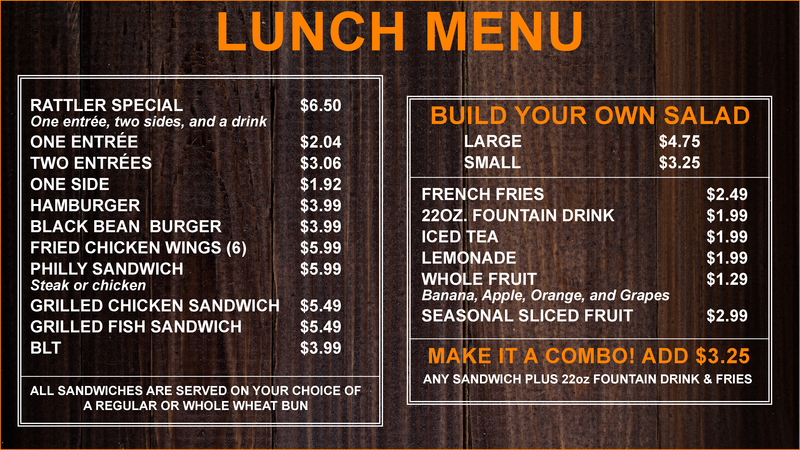 Lunch Monday - Thursday | 11 a.m. - 3 p.m. Lunch Friday | 11 a.m. - 2 p.m.
To place your order, click the logo above. ​Looking to grab a quick breakfast or lunch, then look no further than the Rattler’s Nest, featuring freshly grilled favorites and daily hot entrees.